Sometimes you want to read in German. Sometimes you want to read in English. There’s a great option: bilingual books! Bilingual, or dual-language books, are books in which text appears side-by-side in both the target language and English. 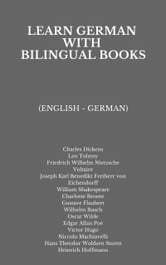 These are some of the German books to enjoy since you can practice your German without being in over your head. Plus, there are plenty of different types of bilingual books, so there’s something out there for any learner at any level. You can read children’s books, German short stories and beginner and intermediate German books, all with the support of the helpful English-language text. 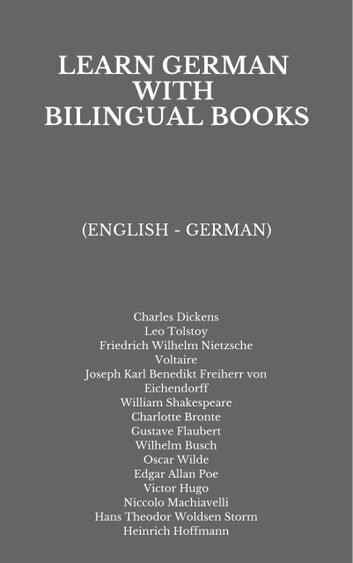 Try these English - German bilingual books from German and Foreign authors.